We are having a Huge Sale on R+Co products happening April 1st – April 13, 2019. 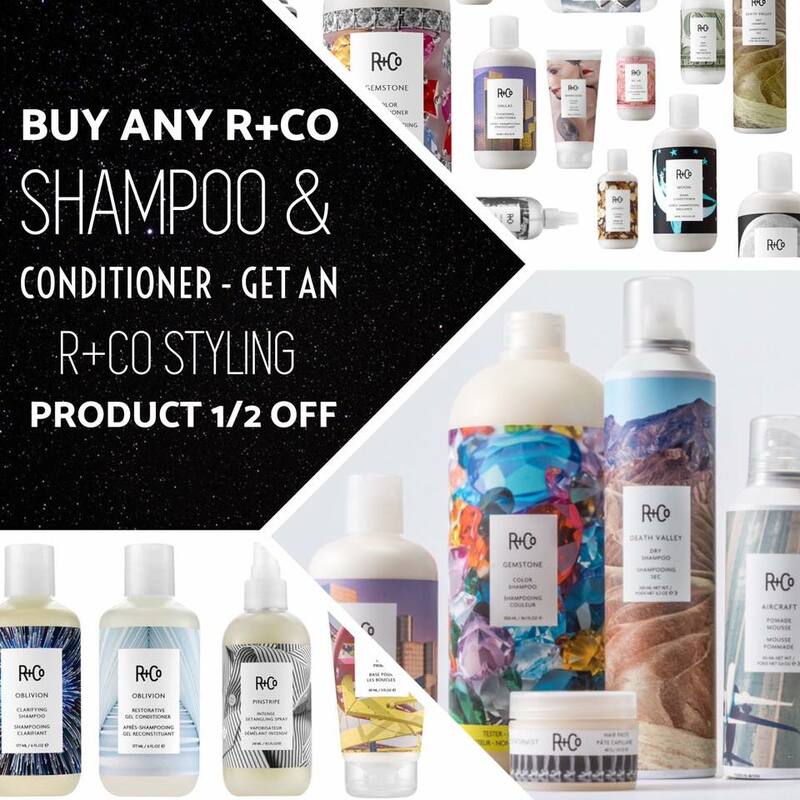 Buy ANY R+Co Shampoo & Conditioner – Get an R+Co Styling product for 1/2 OFF! Stock up on your favorite products and SAVE! The more you buy…the more you SAVE. 🙂 No limits.